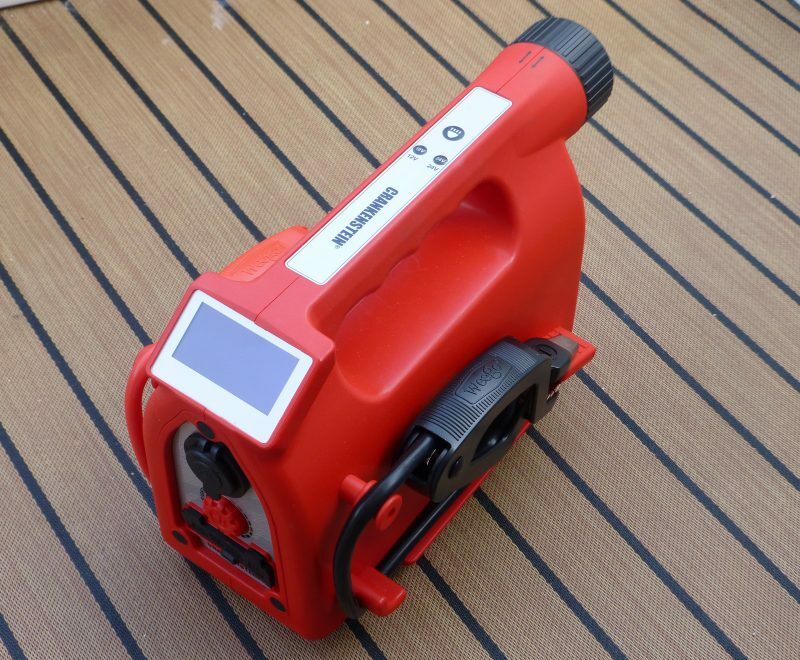 Weego’s Crankenstein is the first lithium chemistry jumpstarter under $1,000 that can start large 24v diesel engines, and its intuitive display with multiple powering options are noteworthy features that will hopefully come to more modestly priced designs. 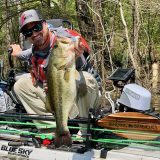 My testing started in an unusual way and while my first test turned out not to be a big diesel it did offer a nice glimpse of the 9-pound, 12x6x8 inch Crankenstein’s always ready design. As I left the St. Pete Beach, FL post office where I picked up the C-154 Crankenstein ($699 list price) I saw the car behind me had their hood up and a couple looking under the hood with forlorn expressions. After the couple asked if I could give them a jump, I smiled, told them I thought I could and tore into Weego’s shipping box. 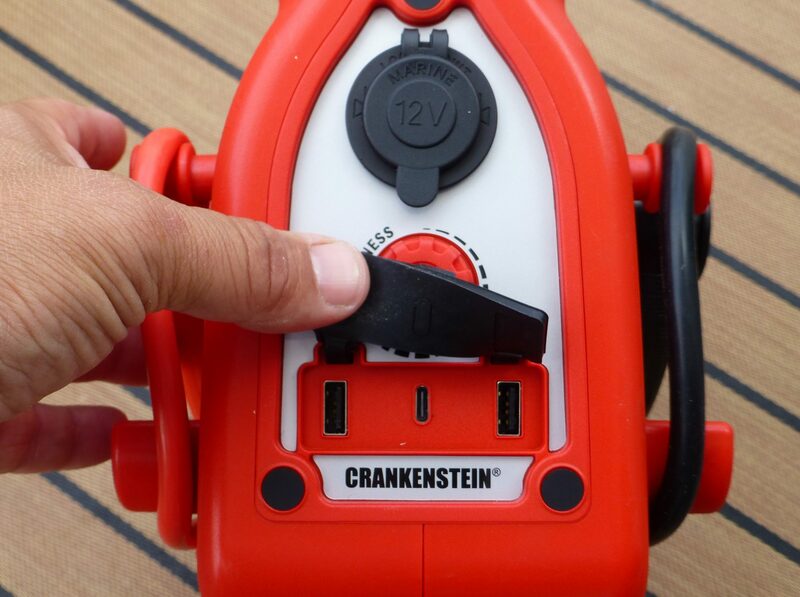 Opening the box revealed the Crankenstein with 29% charge; I hoped this was enough charge, put the clamps on the car’s battery, and pressed the 12v button on the Crankenstein. The OLED display told me it was ready to go and so I told the driver to give it a try. The engine jumped to life and started right away, and if the sound of the starter was any indication, the 29% charge was more than enough. Crankenstein had passed its first test and proved it’s usefulness within minutes of picking it up. 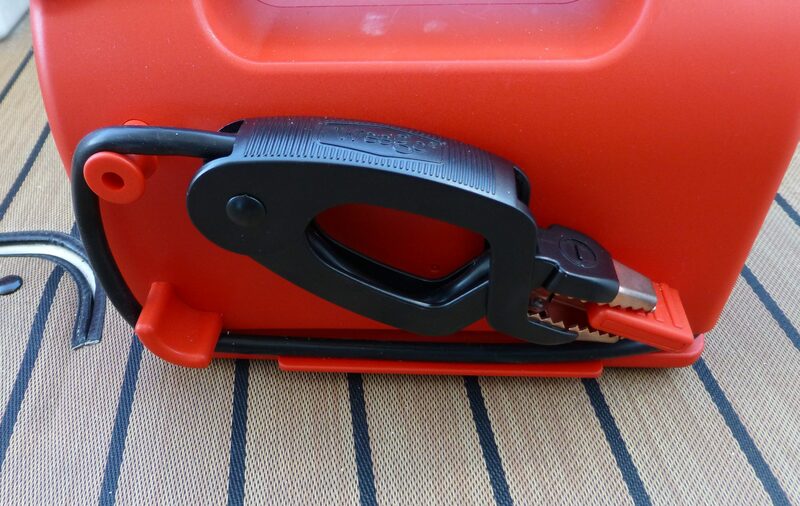 As Ben Ellison mentioned during his 2015 test of Weego’s $150 Jump Starter Pro, lithium ion jump starters pack a lot of oomph into small and surprisingly lightweight packages. 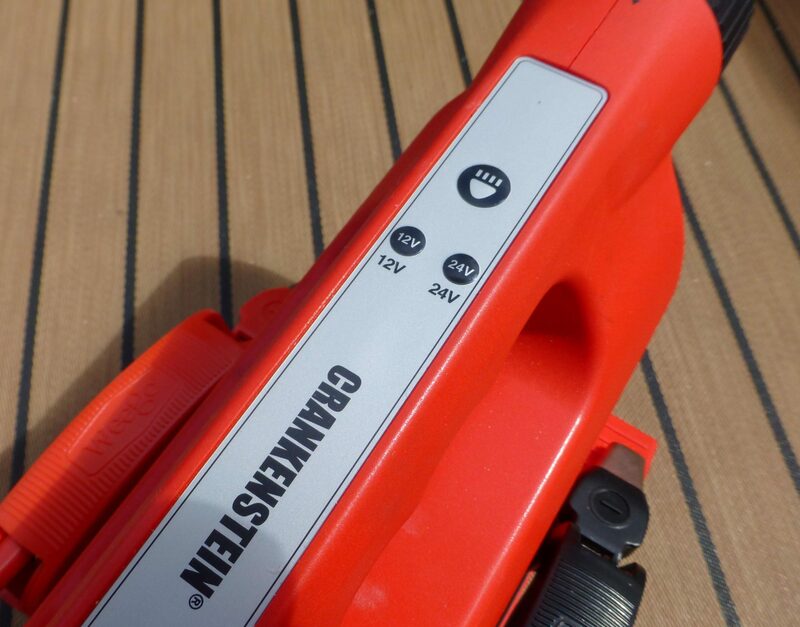 Because of the way I’d first used Crankenstein I hadn’t paid much attention to the intuitive display and well thought-out safety features that make using it easy and apparently foolproof, but that display is a major difference between this and any other jump starter I’ve used. Crankenstein has a lot of safety features to prevent reversed polarity, sparking, overheating, over current, and short circuit problems. 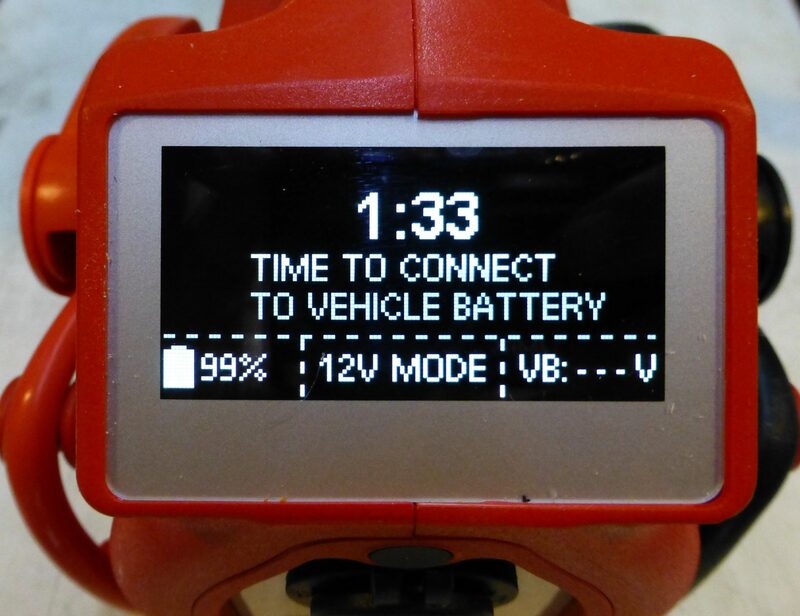 The display will tell you if you’ve done something wrong, walk you through what steps to take, display the current mode of the unit and serve as a voltmeter for batteries connected to the clamps. I tried several tests and never saw a spark no matter what stupid things I did with the clamps. With two Lithium iron phosphate (LiFePO4) battery packs –used in parallel for 12v and series for 24v starting– and the ability to deliver 5,000 peak amps, those safety features are pretty important. Jumpstarting a dead battery with Crankenstein is pretty simple. With the unit off you connect the clamps to the positive and negative posts. Both the clamps and the cables are color coded but even if you make a mistake and reverse polarity it will report a reverse polarity error and safely prevent any current flowing. Once the connection is made the unit will evaluate the quality of the connection between the power pack and the battery. 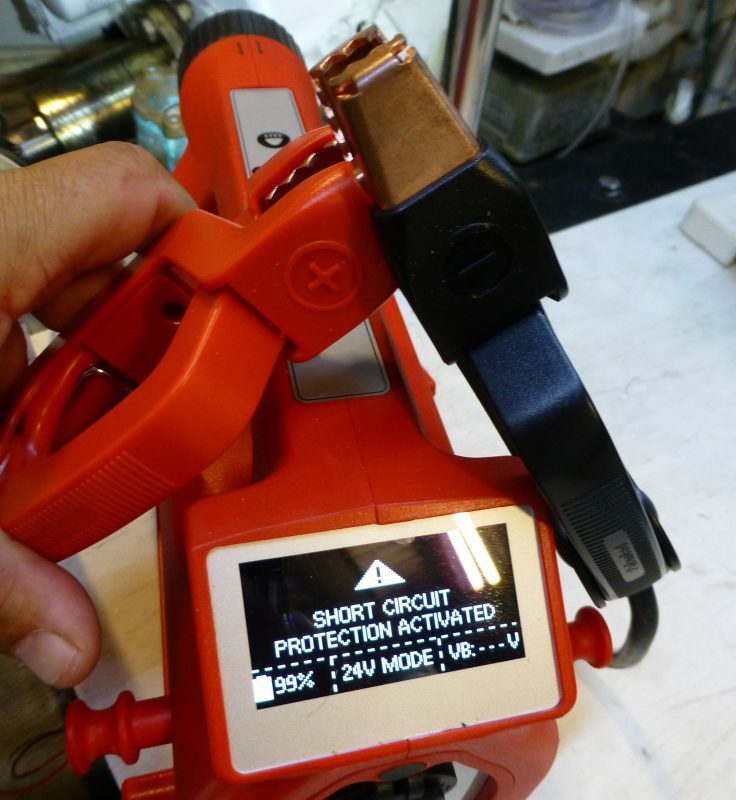 The unit comes with nice clamps that open wide and have substantial squeezing force to them, so the only way to I could get one bar on the connection quality graph was by attaching the clamp to a small conductor coming off the battery. Evaluating and displaying the quality of the connection will save a lot of time and failed start attempts. 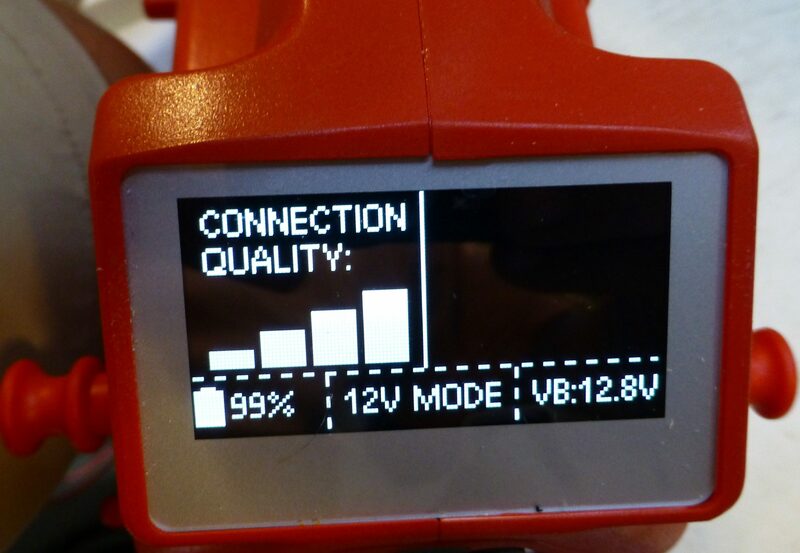 Once a solid connection is made you will also see the VB reading in the lower right corner of the display reflect the voltage of the connected battery. To start a 12v or 24v system you simply press the button on the top of the unit corresponding to your required voltage. Weego also says the Crankenstein can be wired in series with an existing battery to allow starting a 24v system with only one good 12v battery. The unit does require a battery be present in the circuit in order to supply voltage, so I wasn’t able to try starting my 12 liter inline-six diesels using only the Crankenstein. The batteries in the unit are charged via USB-C and the center USB-C port visible above can be used for charging and for power delivery to connected devices. Weego uses the USB-C Power Delivery spec to charge the unit at 45 watts. It took about four hours to bring my sample from 29% to 100% state-of-charge. When used to charge a connected device the USB-C port delivers between 5 and 20 volts at 2.3 to 3.0 amps. The two USB-A ports on either side of the USB-C ports are capable of delivering 3.6-15 volts at 1.5-3.0 amps. Weego uses what they call Detect-o-Matic on all the USB ports on the Crankenstein to detect and engage all compatible forms of quick charging. The cigarette lighter style receptacle at the top of the unit can deliver up to 15 amps at 12 volts. The USB port assortment coupled with broad fast charging and power delivery specs really increases the utility of the unit. That USB-C port paired with Crankenstein’s 154 watt-hour battery means a Macbook Pro could be charged 3 times while a Microsoft Surface go could be charged 6 times on a single charge of the Weego. Weego’s decision to use USB-C may seem like a small one but it’s huge to me. My boat is full of power adapters that each support one device. It’s just about automatic that when it comes time to find a rarely used adapter I need to open every cabinet and bin to hopefully find the right adapter. With Weego’s use of USB-C I’m just about guaranteed to have a charger and cable that will work, even if I’ve misplaced the original. 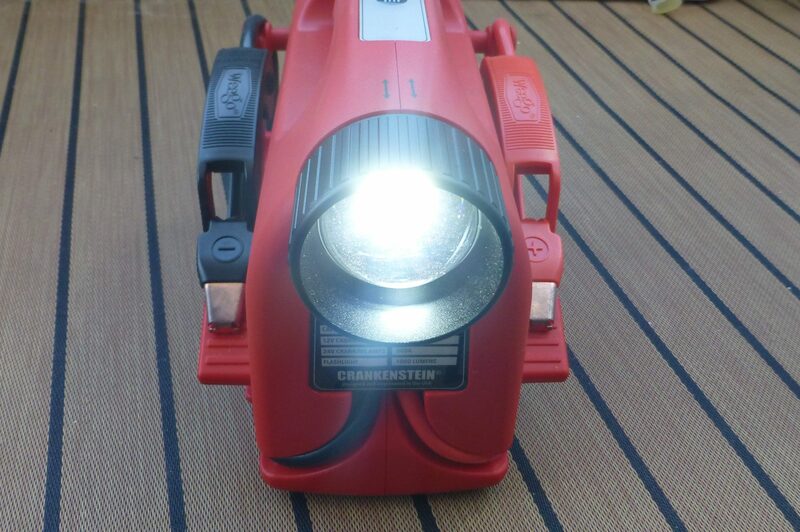 The Crankenstein has a 1,000 lumen focusing LED light on the front end which Weego says will last from 15-30 hours on a full charge depending on brightness. Brightness is controlled by a knob on the back of the unit and power and modes are selected using the light button on the top of the unit. The light can be on steadily, strobing, or blinking SOS. Weego says their testing has shown the Crankenstein loses between 3 and 5% charge per month sitting (they also mentioned they’re usually seeing much closer to 3% than 5%). The worst case means that if the batteries sat for 12 months without a top up charge they would still be around 55% state-of-charge. One of the advantages of LiFePO4 battery chemistry is the ability to deliver nearly full voltage to a very low state-of-charge, so at 55% SOC it shouldn’t have any troubles starting an engine even after a year of sitting. Weego nicely routes and stores the cables and clamps for the Crankenstein. They include both 110 and 12 volt 45w USB-C chargers and a USB-C to USB-C cable for charging the unit. They also include a nylon bag in which to store the accessories, though I wished there might be a small compartment within Crankenstein to store them. I realize with the small overall dimensions of the unit this might not have been possible without making the unit larger. 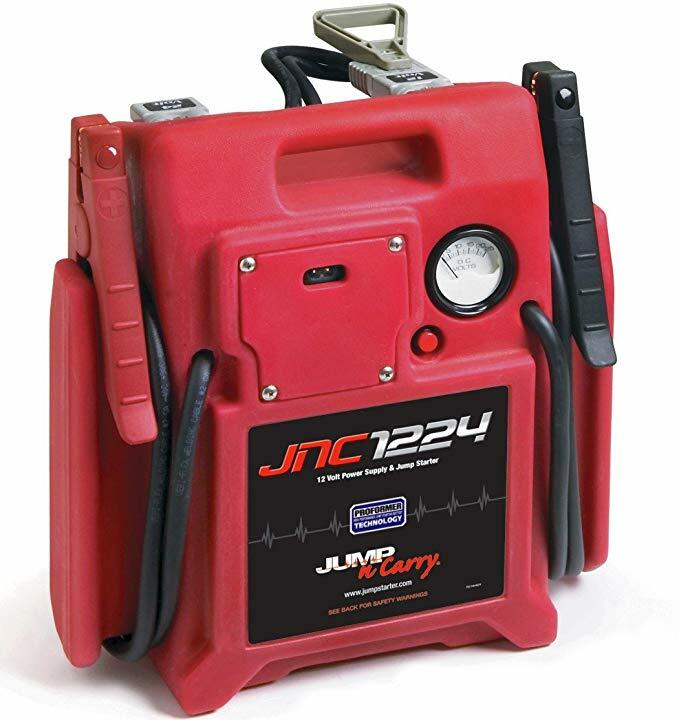 There are cheaper jump start packs out there, such as the lead acid powered, roughly $350 JNC1224 shown above. 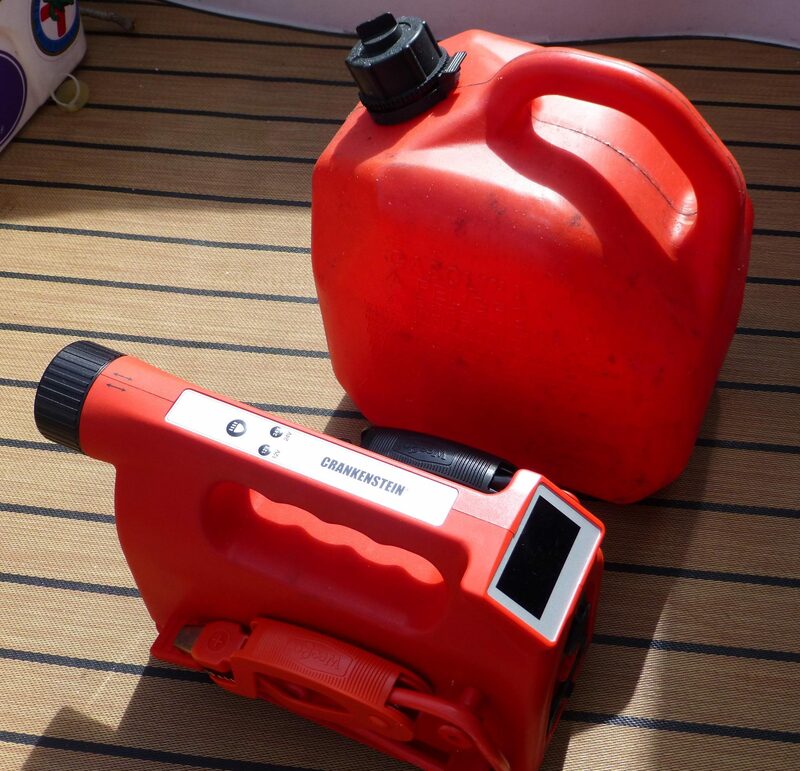 But, the lead acid jump starters I’ve found are larger, heavier (4x the weight of Crankenstein), less refined, and much less safe than any of the lithium options. At $700 the Crankenstein isn’t cheap, but compared to the only other 24 volt lithium chemistry based charger out there it’s a bargain. The Noco GB500 checks in with a list price of $2000, weighs 19.25 pounds, and measures 18 x 15.5 x 17.6 inches. 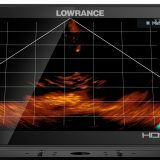 Although the Crankenstein (and GB500) have a premium price tag they present a level of portability and power that isn’t available from any less expensive unit. I’m hopeful we will see many of Crankenstein’s capabilities, and that informative display, on less expensive and 12v only jump starters. Weego has introduced the Crankenstein on their pro site, showing an awareness its best fit is for those who have a consistent call for all its capabilities. 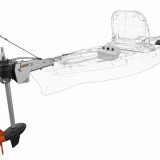 I think the 9 pound Crankenstein would be a big plus for any boat-yard, mobile service professional or well-prepared cruiser.